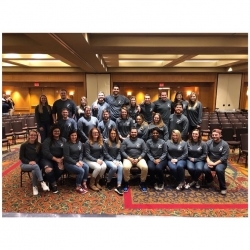 Once again, students in Eastern Kentucky's University's Athletic Training Program attended the Southeastern Athletic Trainers' Associations Athletic Trainers Student Symposium. Twenty-five students attended the conference designed to reinforce content knowledge and provide students an opportunity to network with professionals in the field. EKU has been a regular presence at this conference since its inception. 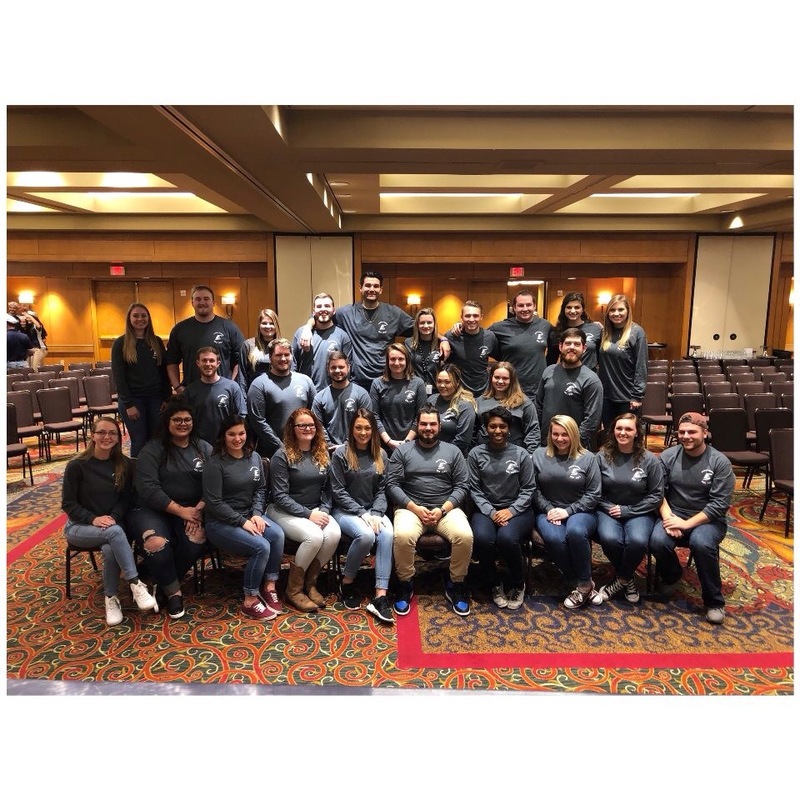 In addition to the normal conference events, students contributed to the Atlanta food pantry as part of a food drive competition hosted by the SEATA Student Senate. EKU students carted more than 325 canned items to Atlanta to win the competition, earning EKU the honor of the "Golden Crutch" trophy. Four EKU students also participated in the 10th Annual SEATA/NATA Foundation Quiz Bowl. After weekly practices, starting in the fall, Tegan Evans, Catherine Young, Owen Petersen, and Jennifer Tinsley battled through 2 rounds of jeopardy-style questions to enter the final jeopardy round in 7th place out of 18 teams. The final jeopardy was tumultuous and they did not gain in rank after the smoke cleared, however, they worked hard, competed in front of a crowd of more than 500 students and faced the unknown bravely. All in all, the trip was a success and the important aspects of the conference remained paramount. Students learned, students bonded, students networked and good times by all!